Biggest TV event since election night? For news media executives, the White House's decision this week not to block testimony from former FBI Director James Comey may have felt like a movie studio greenlighting a big budget action flick. It certainly has the feel of a blockbuster. Or perhaps "spectacle" is a better word. 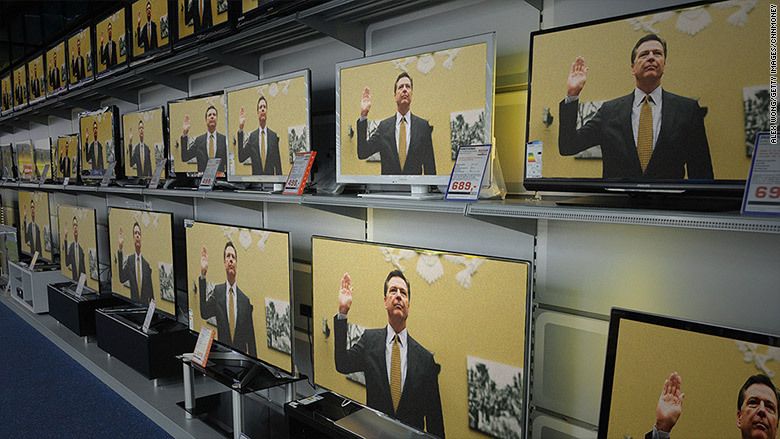 Call it what you want, one thing is clear: when Comey is sworn in on Capitol Hill on Thursday morning, he will deliver the most anticipated congressional testimony in years. ABC, CBS, NBC and Fox Broadcasting will all carry it live -- a rarity for the major networks. In a less unusual move, MSNBC, Fox News and CNN will all do the same, but those big three cable news networks have all been building up more drama for the testimony than they would for an ordinary event. CNN and Fox News have both placed countdown clocks on screen informing viewers when the hearing begins more than a day in advance. MSNBC has opted for a simple promo on the right-hand portion of the screen, sans countdown. Larry Sabato, the director of the center for politics at the University of Virginia, compared the hype surrounding the Comey hearing to other major rounds of congressional testimony -- Watergate, Iran-Contra, Clarence Thomas' confirmation hearings and the impeachment trial of Bill Clinton. "The best sign of a blockbuster hearing is a decision by all the commercial networks to cover it," said Sabato. "Cable always does that but it's now rare for ABC, CBS, NBC to join in. There has to be real, substantial buzz and the potential for an enormous audience. That's what we've got with Comey." Andrew Tyndall, who runs a blog that tracks the network newscasts, downplayed expectations somewhat, saying that "Congress is no match for a courtroom drama when it comes to televised hearings." Perhaps, but ultimately it will depend on the testimony. On Tuesday, a procession of news reports provided clues as to what Comey, who was fired abruptly by President Donald Trump last month, will say before the Senate Intelligence Committee. 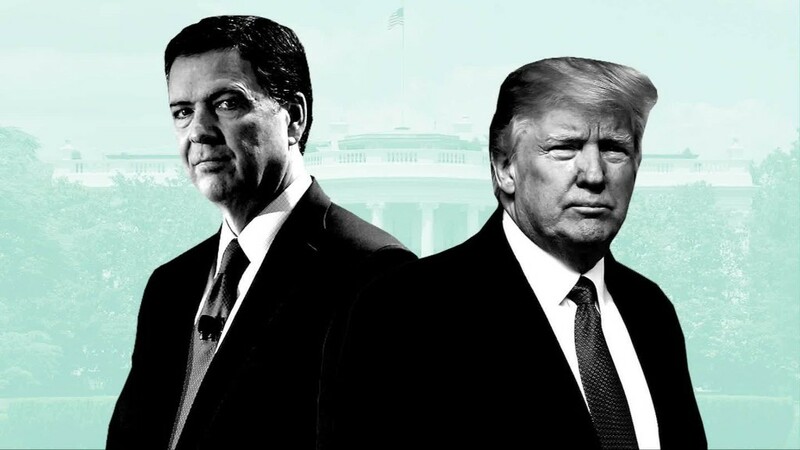 Then, on Wednesday, the committee released Comey's prepared testimony, in which he details a series of interactions with Trump, including one in which the president asked him to "lift the cloud" from the investigation into Russian efforts to interfere with the U.S. election. Whatever Comey says beyond that, the major networks will have their marquee talent on hand for the special coverage. David Muir and Lester Holt will both be on scene in Washington, D.C. to anchor the evening newscasts for ABC and NBC respectively on Thursday night. Holt will co-anchor NBC's coverage of the hearing along with "Today" show host Savannah Guthrie and "Meet the Press" moderator Chuck Todd. George Stephanopoulos, co-anchor of "Good Morning America" and host of "This Week," will lead ABC's coverage of Comey's testimony. CBS's coverage will be led from New York by Charlie Rose, Gayle King and Norah O'Donnell, the network's three morning co-hosts. John Dickerson, the host of "Face the Nation" and CBS's chief Washington correspondent, will join the trio. Shepard Smith, a daytime host on Fox News, will anchor Fox Broadcasting's coverage. Several bars in Washington plan to open early on Thursday morning and show the hearing on their television screens, an arrangement usually reserved for a major sporting event like the World Cup. But whether watching from home or a watering hole, viewers may want to keep one eye on Twitter, too. The Washington Post reported that Trump may live-tweet during Comey's testimony. As if the hearing needed more drama.